Dry hair is hair that lacks necessary moisture and oil to maintain a preferred sheen and texture. Apart from making you look unkempt and unhealthy, dry hair can also lead to dandruff and hair loss. Some common causes of dry hair include; excessive washing of your hair, excessive blow-drying, malnutrition, underactive thyroid (hypothyroidism), using harsh soaps or alcohol on hair, dry air due to climate, hormonal abnormalities, Anorexia nervosa, and frequent use of hair heat treatments as well as frequent use of hair dye. Strive to make use of cold water to rinse your hair. Avoid using cotton pillowcases to sleep. Opt for silk or satin pillowcases instead. Try to get your hair trimmed often. Avoid using hair dryers as much as possible. Avoid using conditioners and shampoos that contain sodium lauryl sulfate on your hair as this compound can exacerbate the drying of the hair. After washing your hair, ensure you also condition it. After using chlorinated water to wash your hair. Avoid using flat irons on wet strands. Ensure you maintain a well-balanced diet as nutrition is crucial to having a healthy hair. If you use oil on your hair, try to warm the oil first as warm oil is better absorbed into the hair. You should also shampoo your hair less frequently, perhaps, once or twice a week. Avocado is a great fruit that contains essential nutrients that are needed in the body. Avocado can also be used as a remedy for dry hair because it contains Vitamin A as well as minerals and saturated fatty acid that can be very good for the hair. These nutrients help get rid of the irregular hair as well as frizz. Avocado is also essential for nourishing and strengthening the hair while keeping it well moisturized. Avocado can also help protect the hair from harmful UV radiation from the sun. In order to use this remedy, you need to get 1 ripe avocado, 1 teaspoon of jojoba oil and 1 teaspoon of wheat germ oil and then mix them together in order to make a paste. Wash your hair, then, apply the paste on it massaging it gently. Leave it on for 30 minutes and thereafter wash it off with clean water. Perform this remedy once every week for better results. Olive oil is highly rich in mono-unsaturated fats that can help treat various ailments. Olive oil contains Vitamin E, antioxidants and essential nutrients that can be very useful for treating damaged hair or dry hair. The oil has the ability to penetrate deep into the hair strands thus eliminating the split ends which is usually associated with dry hair. To make this remedy, you need to heat 5 tablespoons of olive oil in a pan for about 2 minutes. Turn off the heat and allow the oil to cool down for a few minutes and then apply when warm on the hair strands as well as scalp. Massage the hair gently for about 10 minutes, cover it and leave it on overnight. The following day, wash it off with shampoo and conditioner. Follow this remedy once every week for better results. Banana is a great fruit that can be used to treat various ailments including the dry hair. It contains essential nutrients, minerals, natural oils and vitamins that can help in nourishing and keeping the hair moisturized. Banana also contains antioxidants that can help protect the hair from harsh elements while treating the damaged ones. In order to use this remedy, you need to mash 1 ripe banana and add two tablespoons of honey and one tablespoon of almond oil to form a mixture. Apply the mixture on your hair as well as scalp. Leave it for about 30 minutes and thereafter rinse your hair with clean water. Follow this remedy once every week for effective results. Aloe vera is a highly potent home remedy for various conditions including dry hair. It is highly rich in antioxidants, minerals, and vitamins that are very beneficial for treating dry hair. Aloe vera can also reduce hair loss. To use this remedy, you need to mix ½ cup of aloe vera gel with 2 teaspoons of fenugreek powder, 2 teaspoons of castor oil and 1 teaspoon of basil powder. Apply the mixture on your hair and cover it. Leave it on for about 2 hours and thereafter wash it off with water. Follow the remedy once every week for effective results. Vinegar is a potent home remedy for dry hair since it works by eliminating all the residuals of hair products that can lead to dry hair. Vinegar can also help get rid of dandruff and itchiness in the scalp. You can make this remedy by adding 1/2 cup of vinegar to a cup of water to mix. Wash your hair with the solution. Leave it for about 10 minutes and then rinse it with clean water. Follow this remedy once every week for effective results. Almond oil has always been used to treat various ailments and also can be used to treat dry hair due to its potent components. It contains Vitamins A, B, and E and essential fatty acids that can be very helpful in preventing hair breakage as well as eliminating the split ends that are associated with dry hair. The oil is also very effective in retaining the moisture of the hair. To use this remedy you need to add ¼ cup of almond oil to an egg and then stir to make a good mixture. Apply the mixture on your hair and scalp and leave it on for about 30 minutes. Wash it off thereafter with clean water. Follow the remedy once every week for better results. Sesame oil is a powerful oil that can be used to improve and maintain the health of your body. It can also be used to treat the damaged hair due to the number of essential nutrients, minerals, vitamins, and antioxidants it contains. The oil can also help strengthen the hair and prevent hair loss. To use this remedy, you need to mix 3 teaspoons of sesame oil with one teaspoon of grated ginger. Apply the paste on your scalp and hair, massage it for about 15 minutes. Cover and leave it on for about 20 minutes and thereafter rinse your hair with shampoo. Perform this remedy, once every week for effective results. An egg contains very potent proteins, vitamins, essential minerals, fatty acids and antioxidants that can help to strengthen the hair and keep it nourished. Eggs are also very effective in retaining the moisture of the hair. To use this remedy you need to beat 3 eggs in a bowl and then add 1 tablespoon of honey and 2 tablespoons of olive oil and stir to make a good mixture. Wash your hair and apply the mixture on it and on the scalp. Cover it and leave it on for about 30 minutes. Wash it off, thereafter, with clean water. Follow this remedy once every week for good results. Honey has always been used for cosmetic purposes and it can also be used to treat dry hair. It actually acts as a great conditioner that can be very beneficial for your hair. Honey contains antioxidants and essential nutrients that can help enhance hair growth and has the ability to retain moisture in the hair, keeping the hair and the scalp moisturized. To use the remedy you need to add ¼ cup of honey to one liter of clean water and then stir to mix. Rinse your hair in the solution and the cover it for about 30 minutes. Rinse it thereafter with clean water. Coconut oil is a great home remedy for dry hair because it is able to effectively retain the moisture of the hair. You can use coconut together with honey in order to improve its effectiveness. To use this remedy you need to add 3 teaspoons of coconut oil to a ¼ teaspoon of honey and stir to mix. Heat the mixture until warm. Wash your hair with clean water and then apply the mixture on it as well as on the scalp. Cover your hair for about 10 minutes and, thereafter, rinse it off with lukewarm water and a little shampoo. 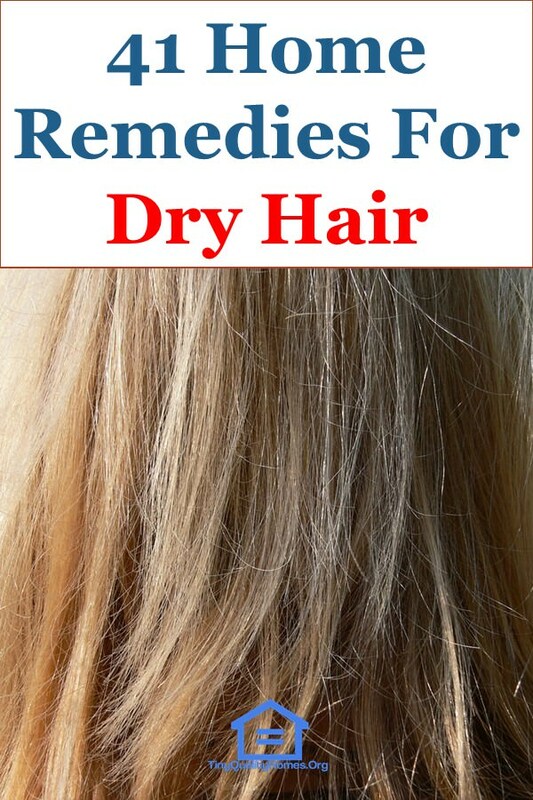 Let your hair dry naturally and follow this remedy once every week for better results. Lime juice is a potent home remedy for dry hair. It can help rejuvenate your hair and protect it from harmful UV rays from the sun. You can use lime juice with honey for quicker results. In order to make this remedy, you need to add 1 tablespoon of honey and 5-10 drops of lime juice to a liter of warm water. Stir the content to mix well. Then, wash your hair with clean water and apply the mixture onto it. Massage it for about 5 minutes and thereafter rinse it off with clean water. Papaya has always been used for various ailments including being a potent home remedy for dry hair. It contains antioxidants, Vitamins B and C, essential minerals and nutrients which are helpful to enhance the growth of hair as well as prevent hair loss. Papaya also strengthens the hair and gets rid of hair product residue that can cause dry hair. In order to use this remedy, you need to mix a cup of cooked papaya with 1 tablespoon of honey, 1 tablespoon of coconut oil and a cup of yogurt by putting them in a blender. Apply the mixture on your hair and scalp. Cover your hair with a shower cap and leave it for about 40 minutes. Wash it off, thereafter, with clean water. Follow this remedy, once every week, for effective results. Chamomile is an effective home remedy for dry hair. It contains terpenoids which can help in stimulating hair growth and strengthening the hair. It can also help to prevent hair loss and it retains the radiance of the hair. Chamomile has soothing properties that can help get rid of inflammation and irritation in the scalp. To make this remedy you need to add a handful of chamomile to 4 cups of boiled water. Cover the contents and leave them for about 30 minutes. Then, strain the tea and wash your hair with it when cool. Follow this remedy, every day, for effective results. Castor oil can help increase the thickness of the hair and retain moisture in the hair follicles. It is also able to enhance the growth of hair and prevent hair loss. To use this remedy you need to add 4 drops of castor oil to 4 tablespoons of honey and 2 drops of peppermint oil. Stir to make a good mixture. Then, massage your scalp and hair with the mixture for about 20 minutes. Cover your hair and leave the mixture on for about 30 minutes. Wash your hair thereafter with shampoo. Follow this remedy once every week for better results. Black tea contains a lot of nutrients that can boost your immune system and can also be very beneficial to your hair. The tea is able to prevent hair loss and contains antioxidant properties as well as vitamins that promote hair growth as well as leave you with soft hair. To use this remedy, you need to add two teaspoons of milk to a cup of black tea, add some salt and stir to mix well. Apply the mixture on your hair, cover it and leave it on for one hour. Wash it off thereafter with clean water. Follow this remedy regularly in order to achieve the desired results. Cocoa is rich in vitamins, minerals, protein and organic acids that are very essential for treating dry hair. Cocoa is able to strengthen and repair damaged hair while at the same time prevent hair loss. Cocoa is also very effective in promoting blood circulation in the scalp and hair follicles. To use this remedy, you need to mix 3 tablespoons of cocoa powder with 1 teaspoon of honey and 1 tablespoon of olive oil. Boil some tea leaves in water for about 5 minutes and then add the mixture to the water. Stir the contents to make a good mixture. Wet your hair with clean water and then apply the mixture when warm. Cover your hair with a towel for about 30 minutes. Wash it off thereafter with some little shampoo. Follow this remedy once every week for better results. Beer is made from wheat which contains proteins and vitamin B1 which make it able to rejuvenate damaged hair and soften dry hair. Beer is also able to strengthen your hair and make it healthier. To use this remedy, you need to shampoo your hair and leave it to dry and then apply beer on it. Cover and leave it for about 20 minutes. Rinse your hair thereafter with clean water. Follow this remedy thrice every week for better and quicker results. Strawberries contain plenty of nutrients and antioxidant properties that can help to improve the health and appearance of your hair. These fruits are able to strengthen your hair and give it a shiny look while repairing the damaged hair. To use this remedy, you should add 10 strawberries and 2 tablespoons of mayonnaise to a blender to mix. Apply the mixture on your hair and leave it on for about 20 minutes. Wash it off thereafter with clean water and some shampoo. Follow the remedy once every week for better results. Shea butter contains fatty acids as well as vitamins A and E which can retain the moisture in the hair and nourish it. It is able to rejuvenate and strengthen your hair while ensuring that it is soft and shiny. In order to use this remedy, you need to mix 2 tablespoons of Shea butter with a few drops of olive oil and heat the mixture until the butter has completely melted. Add 1 tablespoon of honey to the mixture. Wet your hair with clean water, then, apply the mixture on your hair. Leave it on for about 30 minutes and rinse it off with clean water and shampoo. Argan oil contains essential fatty acids and nutrients that can penetrate deep into the hair follicles. The oil is able to repair broken and damaged hair as well as prevent hair loss. It is also able to nourish the scalp and strengthen hair strands. To use this remedy, you need to mix a few drops of argan oil with aloe vera gel and then apply on the hair. Leave it on for about 20 minutes and wash it off thereafter with clean water. Mayonnaise is a potent home remedy for dry hair. It contains proteins that can help nourish as well as soften your hair as well as make it shiny. It is able to moisturize as well as retain the moisture in the hair. Mayonnaise can also help in keeping the pH at the right levels while treating the dry and damaged hair. To use this remedy you need to apply a cup of mayonnaise on your scalp as well as your hair and massage gently. Then, cover your hair with a plastic cap and leave it for about 2 hours. Rinse your hair, thereafter, with clean water and shampoo. Follow this remedy once every week to improve the texture of your hair. Curry leaves contain a lot of vitamins and minerals which are very beneficial when treating dry hair. Curry leaves can be used together with coconut oil, which contains fatty acids and antimicrobial properties, that help in making the hair stronger, stimulate hair growth and get rid of dry hair. You can use this remedy by heating 2 tablespoons of coconut oil and then add it to 5 curry leaves. Stir the contents and leave them to simmer for about 5 minutes. Turn off the heat and let it cool at room temperature. Apply the mixture on your scalp and hair and massage gently. Cover your hair with a light towel for about 20 minutes. Wash your hair thereafter with clean water. Follow the remedy, once every week, for effective results. Pumpkin has numerous nutritional benefits to the body and the hair. It contains vitamins and minerals, such as potassium, that helps to enhance the growth of hair while keeping the hair healthy. Pumpkin contains zinc which works by stimulating the action of collagen which promotes healthy hair and gets rid of dryness in the hair. Pumpkin can also enhance blood circulation in the scalp which is essential for better and fuller hair growth. To make this remedy you need to boil a ¼ piece of pumpkin then mash it to a make a fine paste. Add 3 tablespoons of yogurt into to the paste and mix. Apply the paste on your hair and scalp. Leave it on for about 30 minutes and, thereafter, rinse your hair clean water and shampoo. Follow the remedy once every week for effective results. Fenugreek seeds are a potent home remedy for dry hair. These seeds contain essential nutrients such as protein, potassium, amino acid and Vitamin C which naturally fight off dry hair and keep it hydrated. To use this remedy, you need to soak 3 teaspoons of fenugreek seeds in water overnight. The following day, grind the seeds to get a fine paste. Add some yogurt to the paste and mix well. Apply the fine paste on your hair and leave it on for about 30 minutes. Wash it off with water and shampoo. Follow this remedy, once every week until you get the desired results. Yogurt has a moisturizing effect that helps deal with dryness in the hair. It contains Vitamin D and B5 which helps keep the hair follicles nourished, which helps to prevent hair loss. You can use this remedy by adding 1 teaspoon of apple cider vinegar and 1 teaspoon of honey to a ½ cup of yogurt. Stir to mix well. Apply the mixture on your hair and leave it on for about 20 minutes. Rinse your hair thereafter with lukewarm water. Milk that is not boiled could be an effective home remedy for dry hair. To use this remedy you need to soak a cotton ball in the milk and then place directly on your hair and scalp. Leave it for about one hour and, thereafter, wash it off with clean water. Gelatin can help deal with dry hair effectively. You can add a packet of gelatin to a cup of boiling water and then stir to obtain a thick gel. Shampoo your hair and then apply the thick gel on your hair. Leave it on for ten minutes and then wash it off with lukewarm water. Foods rich in omega-3 fatty acids provide the body with essential nutrients that can help improve the health of your hair and combat dry hair. You can eat foods like fish, eggs, olive oil, beans, meat, walnuts and many others. You could also take omega-3 fatty acids supplements. 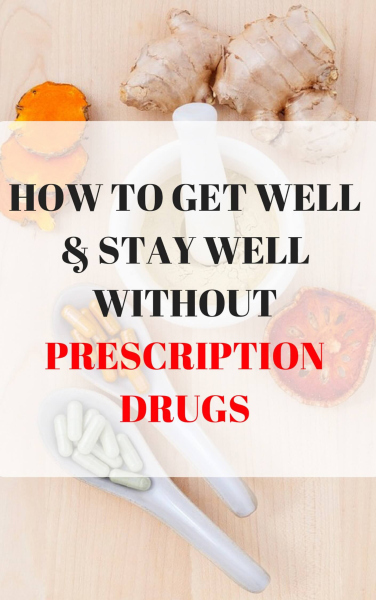 Consut your healthcare provider before taking any supplements. Sugary water can soften dry hair as well as help in treating the damaged hair. To make this remedy, you need to add some amount of sugar in a ½ cup of clean water, stir to dissolve the sugar and then apply the solution on your hair. Clarified butter is an effective natural conditioner and can help combat dry hair while keeping it nourished. You can use this remedy by applying some clarified butter on your hair and scalp. Hibiscus flowers can be a potent home remedy for dry hair and can help restore damaged hair. In order to make this hibiscus remedy, you need to add a petal of hibiscus flower to 2 tablespoons of coconut oil and heat them. Allow the contents to cool down at room temperature and then apply it on your scalp and strands. Leave it on, overnight, and wash off the following morning. Henna can improve the appearance of your hair by dealing with dry hair and leaving you with healthy and smooth hair. You can use this remedy by mixing 3 tablespoons of henna with yogurt and tea. Apply the mixture on your hair and scalp and leave it on for about 2 hours. Rinse it off with water and shampoo. Follow the remedy regularly for better results. Essential oils have always been used to treat various ailments and they can also be used to treat dry hair. To make this remedy, you need to mix 1 tablespoon of jojoba oil, 1 tablespoon of apple cider vinegar, 1 tablespoon of rosemary oil and 1 tablespoon of honey. Apply the mixture on your scalp and hair then massage gently for about 20 minutes. Wash it off thereafter with warm water. Tea tree oil contains antifungal and antibacterial properties that can help to get rid of dryness of the hair as well as itchy scalp. Adding a few drops of tea tree oil to your shampoo regularly will give you the best results. An extract of bottle gourd juice is a potent home remedy for dry hair. To use this remedy, you need to apply the extract of bottle gourd juice directly to your scalp and leave it on for about 20 minutes. Follow this remedy, regularly, for effective results. Aspirin contains salicylic acid which works to restore the natural sheen of hair strands, thus, leaving you with shiny hair. You can use this remedy by crushing 2 aspirins and add them to your shampoo. Use the mixture to wash your hair. Herbal shampoo contains powerful components that can combat dry hair thus leaving you with healthy hair. You can make this remedy by drying fenugreek seeds, acacia concinna, green gram, curry leaves and soya beans. Crush them, after a few days, to obtain a fine powder. Add some water to the powder to make a paste. Apply the paste on your hair and leave it on for 10 minutes. Wash it off thereafter with lukewarm water. Flour contains essential nutrients that make it a powerful home remedy for dry hair. It gets into the hair roots and rejuvenates the hair from within. To use this remedy you need to apply 1 tablespoon of flour to your hair roots and leave it on for about 5 minutes. Wash it off thereafter with clean water. Baking soda is an effective home remedy for dry hair because it is able to get rid of residues from hair product which can cause dryness of hair. In order to make this remedy, you need to add 2 tablespoons of baking soda to a ½ cup of water and stir well to mix. Use the mixture to massage your scalp and hair strands. Leave it on for about 20 minutes and thereafter wash it off with lukewarm water. Vegetable oil can nourish your hair and when used together with honey it can act as a conditioner. To use this remedy you need to mix 2 tablespoons of vegetable oil with 2 tablespoons of honey. Apply the mixture on your scalp and hair. Cover your hair with a shower cap and leave it for about 20 minutes. Rinse your hair, thereafter, with lukewarm water. Apple cider vinegar is very useful for the body and can be used to treat dry hair. It is able to get rid of hair products residue that can cause dry hair. To use this remedy, you need to add 2 tablespoons of apple cider vinegar to 2 cups of water and stir to mix well. Wet your hair with water and then condition it. Then, rinse your hair with the ACV solution and allow it to dry naturally. Follow this remedy, once every two weeks for an effective result.